Imagine an unspoilt island within a Marine National Park, deserted beaches of pure white sand that extend for miles, sparkling turquoise seas criss-crossed by local dhows plying their trade, sunny days and star-studded nights. This is the enchanting island escape you always imagined. 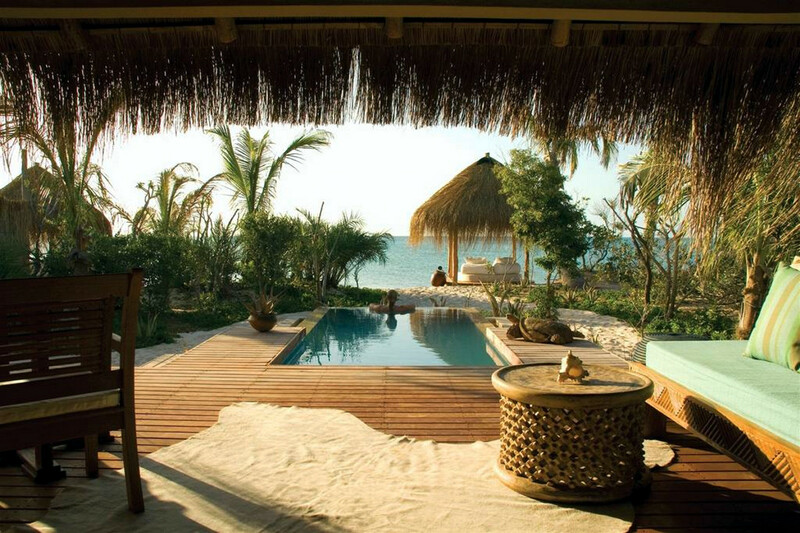 Azura Benguerra, the first eco-friendly resort in Mozambique, was hand-built by the local community and is operated in partnership with it. Just 20 villas are nestled along one of the last undiscovered stretches of beach in the world, with all the creature comforts you could wish for, sparkling private pools, Mozambican butler-hosts to look after your every need, fish and seafood fresh from the ocean, a fantastic range of activities and experiences, an African spa to relax in, all at a community based project where the local islanders benefit as much as you. 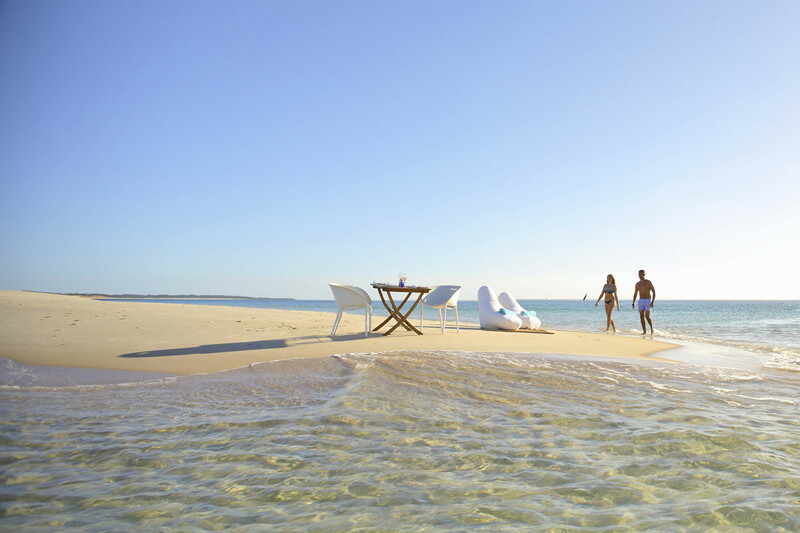 Azura Benguerra Island is paradise found. Experience the island as it is meant to be, always at its very best. 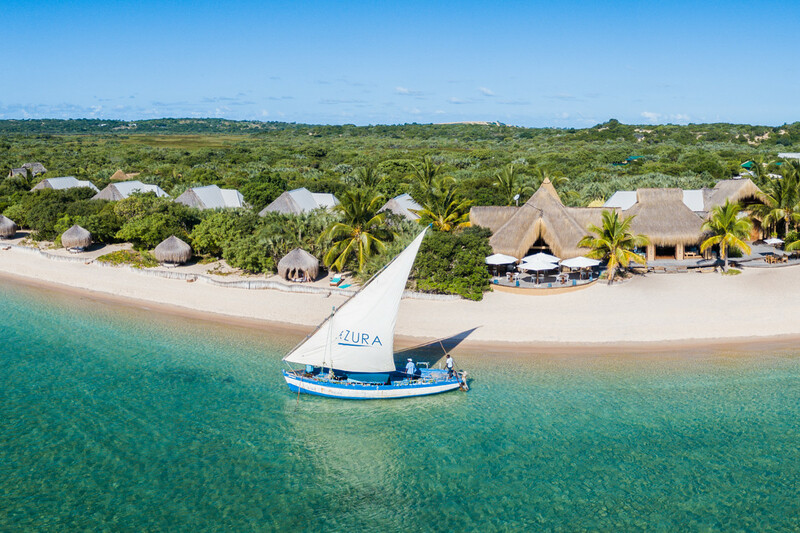 Azura Benguerra Island, Mozambique, has been included in the 2017 Travel + Leisure magazine's World’s Best Awards Survey. We are really pleased with the recognition. We’re also incredibly excited to be participating in the 2017 World Luxury Hotel Awards! Thank you to our loyal guests for the nomination. 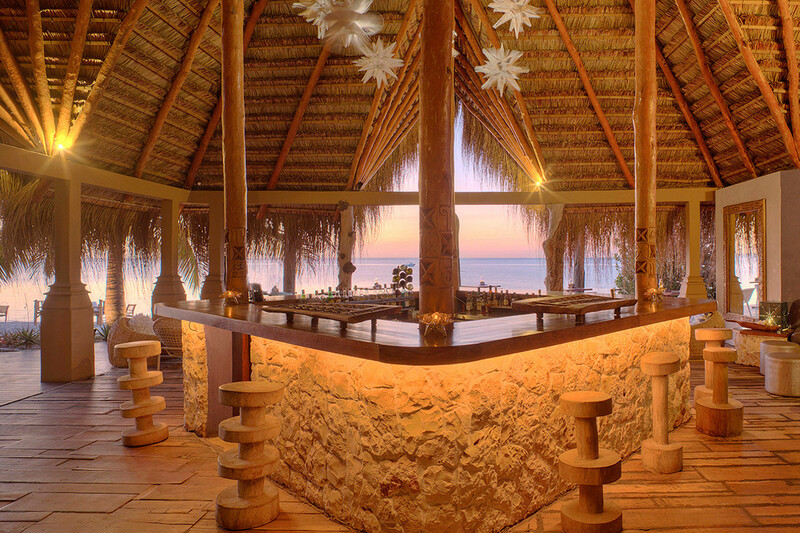 Azura Benguerra Island's public areas are right on the beach and open to the sea. We have created several different zones for your enjoyment and relaxation, from the comfortable lounge area, to the vibey Star Bar, and our fabulous wine cellar offering a selection of the owner’s wines, especially flown in from their Chateau in France. The Jellyfish Restaurant offers breakfast and more formal dining. There is a media room for those needing TV and internet access, a boutique at reception, and our Padi 5 Star dive centre with top of the range Scubapro equipment. 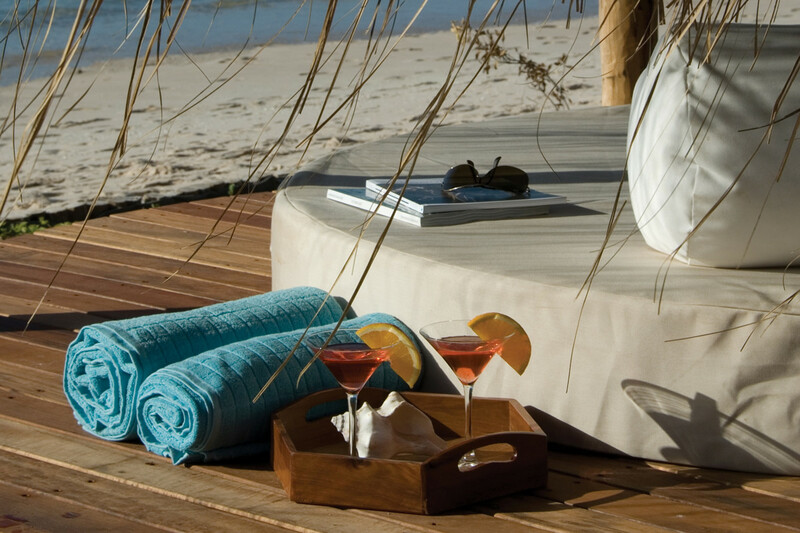 Azura on Benguerra Island is blessed with hot and sunny weather year round. Temperatures are generally in the upper 20′s to low 30′s celsius, and rarely fall below 20 degrees even at night. The water temperature is gloriously warm, and ranges from 24-30 degrees plus. Benguerra Island tends to receive on average a quarter of the rainfall that the mainland does, and there can be several months of the year when there is no rain at all. This makes our landscape very arid, and challenges our indigenous gardens and water supply, but usually makes our guests very happy!